Summer READing is upon us! So, you’ve got everything lined up for summer. Performers – check! Special storytimes – check! Crafts – check! Libraries rock! But what about the unexpected? It’s all happened to us – a performer cancels at the last minute, or a crucial staff member calls in sick. Will you be ready? Here’s some quick and easy hands-on activities that can be turned into full-blown, hour long programs! All on the turn of a dime and just as affordable! Rock – I mean – read on! What could be easier? 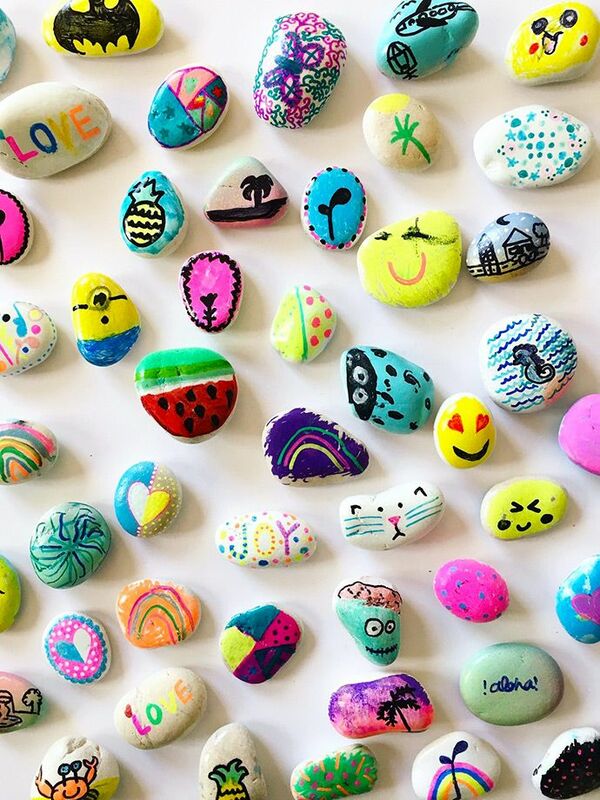 Take some rocks, get some Sharpies and create simply patterns all over them! 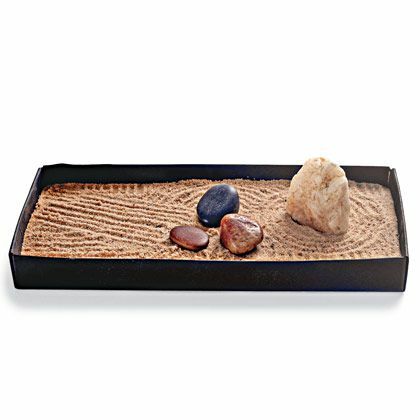 Easy mode: Get a shoe box lid, add some sand and rocks and create patterns with a plastic fork. 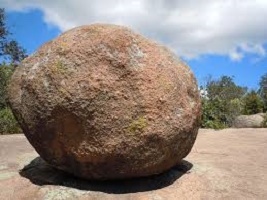 Tip: Put them in your libraries green spaces to make libraries rock everywhere! Make them mosaic! Try some impressions! Either way you’ve got two paths before you: cement or no cement. If this is just not possible for your set-up, there are TONS! of other options. My fav? Sand dough! Durable, weather resistant and best of all, NON-TOXIC! And it’s inexpensive! Bear in mind, it takes some prep, so plan a few days ahead. Mix together a combination of one part white glue, two parts flour, two parts sand and two parts water in a bucket. Combine the mixture with a spoon until dough forms. Add more flour or water to make the dough consistent. Spray a square cake pan with cooking spray. Pour the sand dough into the cake pan, and then allow the sand dough to dry for three days. Hold the pan upside down, and then gently tap the bottom of the pan to remove the dried sand dough. Use a paintbrush to paint designs or patterns on the stepping stones with acrylic paint, if you wish. Weatherproof the stepping stone by applying a clear wood finish to the entire surface of the stepping stone with a paintbrush. Allow the wood finish to dry completely before placing the stepping stone in your garden. Repeat the process to make as many stepping stones as you need. Last year, I did a breakout session at FLA, “Bringing Clay to the STEM arena“. It introduced librarians to the concept of clay being used to explain STEM concepts to children. Sound cool? It is! And, you know, clay hardens to stone, so it’s perfect for libraries rock! Here’s the PPT and here’s some recipes! Got questions? Shoot me an email! We can chat! Best of luck out there this summer, comrades! Love it! I will def use this and share it! Keep those ideas comin’!